Visits from Royalty and a Sinister Tale of Murder. 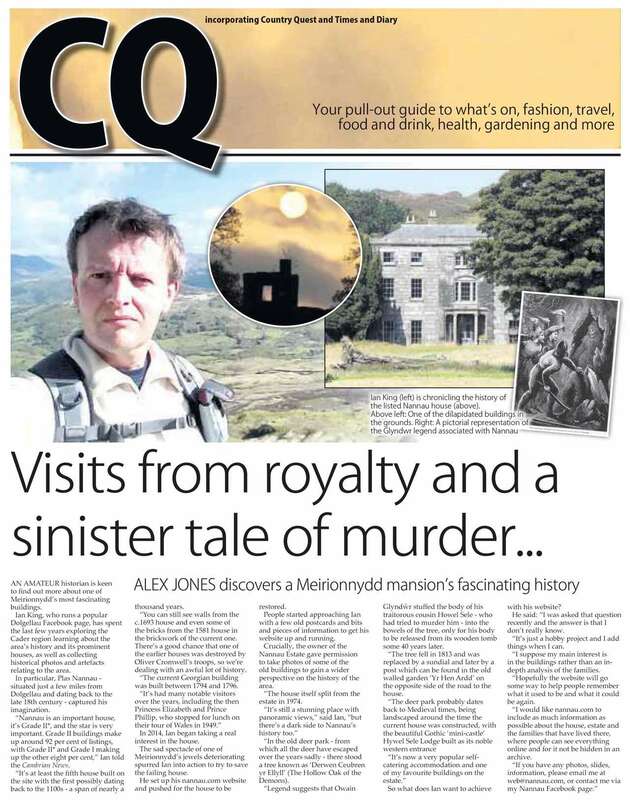 ALEX JONES discovers a Meirionydd mansion’s fascinating history. Ian King, who runs a popular Dolgellau Facebook page, has spent the last few years exploring the Cader region learning about the area’s history and its prominent houses, as well as collecting historical photos and artefacts relating to the area. In particular, Plas Nannau — situated just a few miles from Dolgellau and dating back to the late 18th century — captured his imagination. “Nannau is an important house, it’s Grade II*, and the star is very important. Grade II buildings make up around 92% of listings, with Grade II* and Grade I making up the other 8%,” Ian told the Cambrian News. “You can still see walls from the c.1693 house and even some of the bricks from the 1581 house in the brickwork of the current one. There’s a good chance that one of the earlier houses was destroyed by Oliver Cromwell’s troops” so we’re dealing with an awful lot of history. In 2014, Ian began taking a real interest in the house. The sad spectacle of one of Meirionnydd’s jewels deteriorating spurred Ian into action to try to save the failing house. He set up his nannau.com website and pushed for the house to be restored. People started approaching Ian with a few old postcards and bits and pieces of information to get his website up and running. Crucially, the owner of the Nannau Estate gave permission to take photos of some of the old buildings to gain a wider perspective on the history of the area. 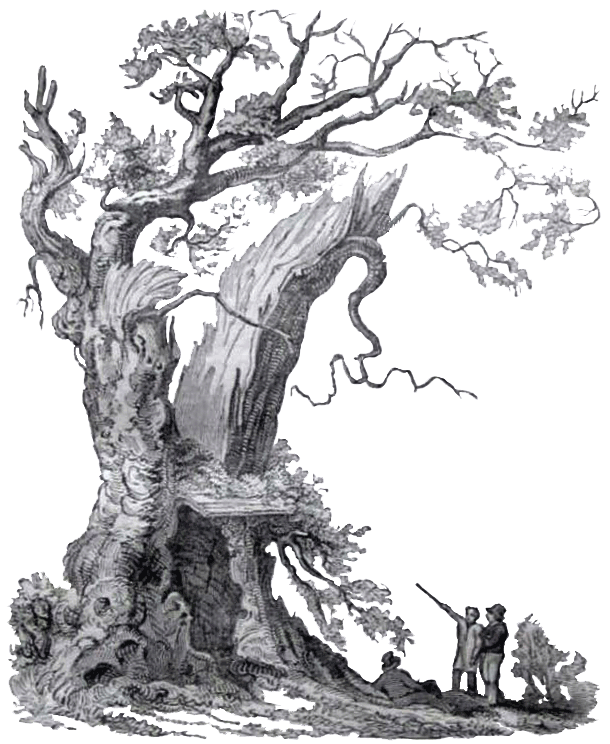 “The tree fell in 1813 and was replaced by a sundial and later by a post which can be found in the old walled garden ‘Yr Hen Ardd’ on the opposite side of the road to the house.